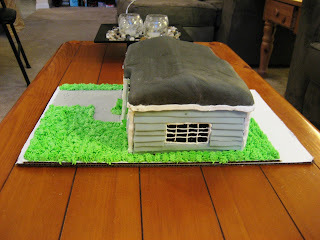 This cake is a true original. 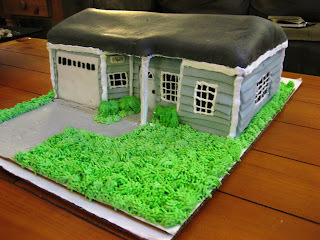 Jessica's friend Melissa had recently bought her first house. 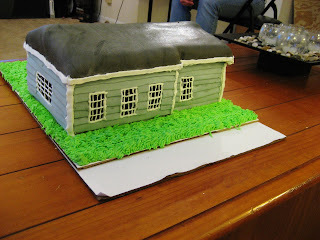 To celebrate, Jessica designed a cake of the house itself. The challenge was that she only had three, low-resolution photos to go off of. I can't tell you how many debates we had about "the roof hangs over here" or "that wall is angled slightly." But it turned out great. 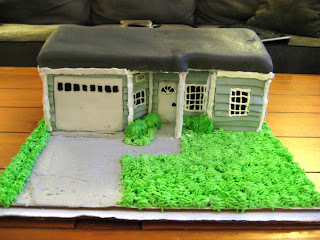 The outside work of the cake is colored fondant. 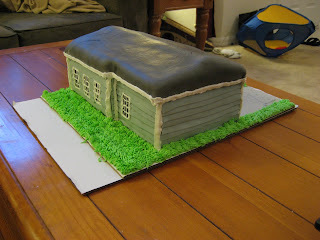 Inside, the cake is chocolate with white frosting. The grass was piped right onto the board. 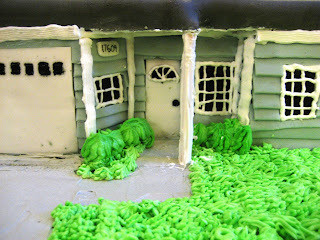 Small details like the doors and windows were painted on.